Today we add the 100th video to the No Water River library! WHOO! I feel like I should send her a lifetime’s supply of Turtle Wax or a new dinette set! I am thrilled to see the video library grow and grow. I hope this is just the first hundred of many hundreds of videos. Now on to the show! Ooh, that sliver of cricket I didn’t expect but that is so perfect for our raccoon friend! Oh wait, I forgot I have another favorite in this book. I mean, how can you not love the righteous indignation of this turkey? Raw sienna! Ha! Deborah’s attention to these specific details is just another element that makes her work such a joy to read, and again there’s that unexpected ending. I was also happy to see that both these books were illustrated by Joan Rankin. I love it when an author and an illustrator become “a thing!” And Rankin’s work is just beautiful, the perfect whimsical complement to Deborah’s sweet style. Look at the colors and the Sunday-best hats on these birdies! Gah! What a neat way to look at a slice of watermelon! And the book is full of this kind of stuff, along with the fanciful turns of phrase I’ve come to expect, like “that nubbin of fish” in the poem “A Smoothie Supreme.” A nubbin! I could not begin to do a better job of telling you about this book than our foodie friend Jama Rattigan, who outdid herself with this post on The Popcorn Astronauts. You must go read it, along with Jama’s fabulous interview with Deborah. Deborah, who are you, where are you, and how long have you been a rhyming fool? I was a kid who loved words, inspired, I think, by a father who loved words. Dad recited poems at the dinner table and while we jumped rope after dinner. Reading poetry to my own children made me remember those days, and I started to imagine how wonderful it would be if I could ever write for kids. It was a wild idea that I set aside for many years while I did other things. In 1998 when my kids were out of college, I decided to concentrate on writing — with a secret goal to publish my own collection of poetry. It felt like taking a leap off a cliff, since I honestly had no idea what I was doing. How to start? Where to work? So many questions! Even though I was floundering for a few years, it was exhilarating because I was learning something every day. I sold my first poetry collection, Today at the Bluebird Café, in 2003, and I have been writing ever since. Do you remember, and would you share, the first poem you ever wrote? I was thrilled to read in Jama’s interview with you that you are a slow and tortured poet. (Sorry! But…me too! Misery loves company and all that.) So I assume that you are also easily distracted by shiny objects, like I am. What, then, do you do to avoid writing at all costs? What is your strangest writing habit? I LOVE shiny objects! I notice that I can call almost anything “research” when I’m trying to avoid writing. That alleviates my guilt feelings. Working on my recent collection of food poems provided an opportunity for lots of guilt-free (and tasty) research. Other strategies: reading, gardening, walking, thrift store browsing, library browsing, calling my sister … let me count the ways. Strange writing habit: I have to work alone in a quiet room where I am free to act out what I’m working on. That could mean anything from strutting like a turkey to staring like an owl. I also read elsewhere that the marvelous Karla Kuskin had a big influence on your development as a poet. What “poetry lessons” did you learn from her and others who inspired you? I love Karla Kuskin’s gentle rhymes, her naturalness, and her wry humor. There is a sweetness and simplicity in her work that knocks me out. She made it look so easy! Maybe I can do that, too, I thought! 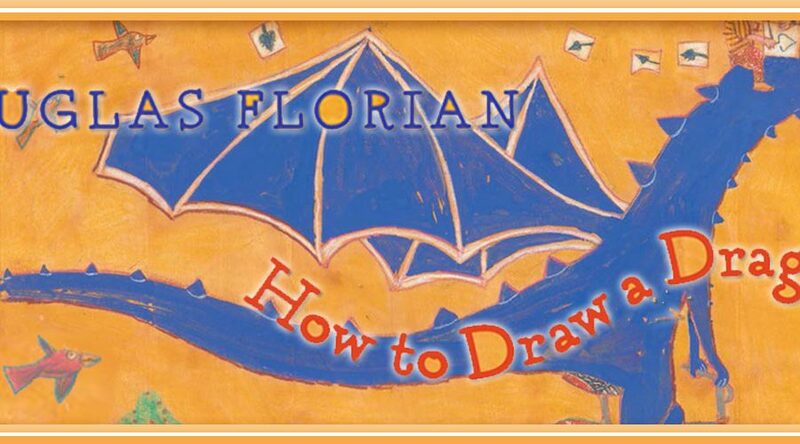 Is there anything you know now that you wish someone had told you when you were just starting out writing for children? My first thought is that I wish someone had told me to take a breath and stop trying so hard to publish my work immediately. On the other hand, I think those early rejections forced me to start over. I began reading more deeply and looking at my own writing more critically. That was a lesson I had to learn on my own. Have you ever written something you absolutely hate? If you could go on a space adventure with any children’s poet (living or otherwise), who would it be and why, and what would the two of you do on your gravity-less escapade? in one small windowpane of sky. I would love sailing around space with Myra as my guide to the universe. The word is we, from E.B. White: Writings From The New Yorker, 1927-1976, edited by Rebecca M. Dale. famed for his fine editorial we. Something hardly anyone knows about you: When I was 16, I went to my very first rock concert. The tickets were $5, and I wore a suit (that’s right: a SUIT) with tiny multi-colored flowers on it. The band was a little quartet called THE BEATLES, and I’m almost certain that Paul sang “Yesterday” directly to me. Or it sure seemed that way. Article of clothing you refuse to wear: Anything with real fur. Greatest fear/phobia: Getting lost! Terrible sense of direction. Your hidden talent: Through a rigorous practice schedule, I am getting pretty good at iPad Boggle. 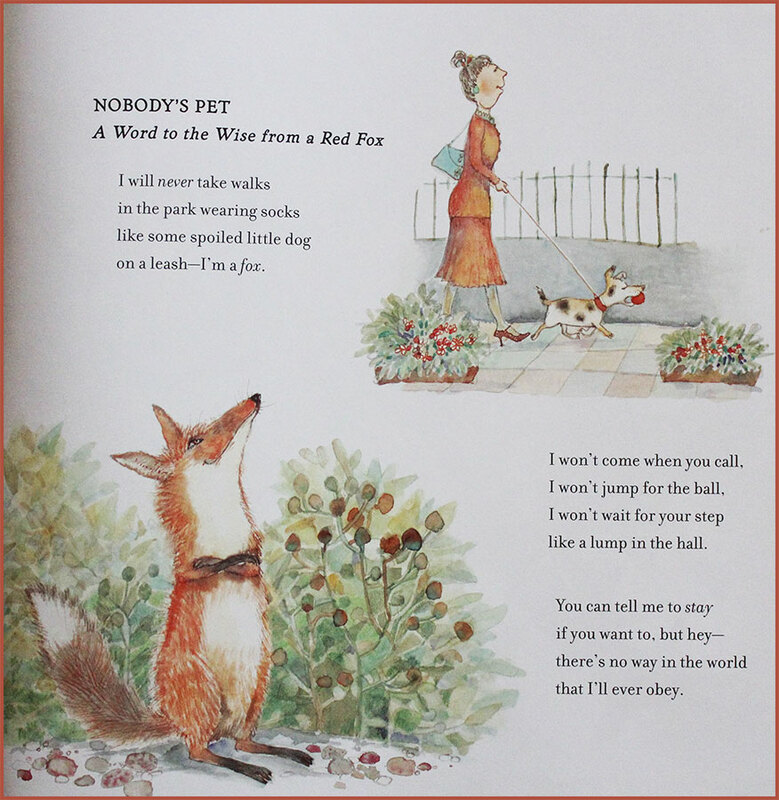 Thanks for stopping by, Deborah, and for adding “Nobody’s Pet: A Word to the Wise from a Red Fox” to No Water River’s video poetry library! About Deborah – and her identical twin sister! See a list of all of Deborah’s books. Click on the book covers to find classroom guides and see the reviews and awards for each book. Check out these printable activities for Deborah’s books, like puppet theater and coloring pages. 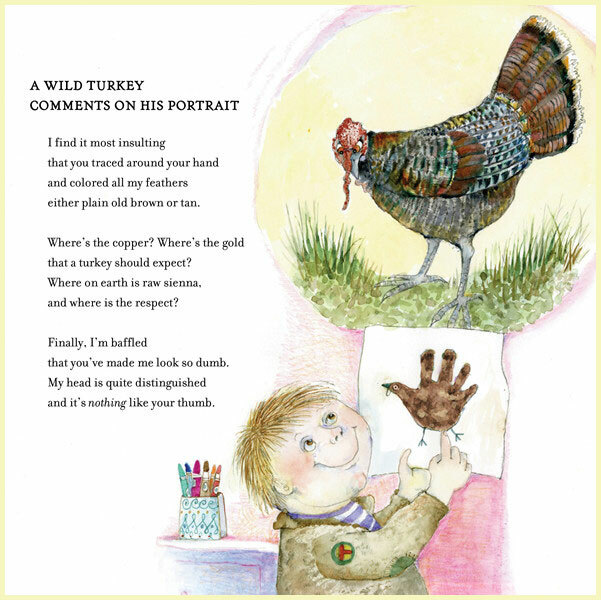 Deborah’s poems “Nobody’s Pet” and “A Wild Turkey Comments on His Portrait” are written from the point of view of the animals themselves. Choose an animal and write your own poem in that animal’s voice. Brainstorm ideas for the poem by thinking about what might make the animal happy, sad, or angry; what the animal thinks of humans or another animal; and so on. Choose a favorite character from one of Deborah’s books and create a paper bag puppet for it. Have the puppet recite the poem. Don’t forget the funny voice! Here are some pictures of paper bag puppets for inspiration. 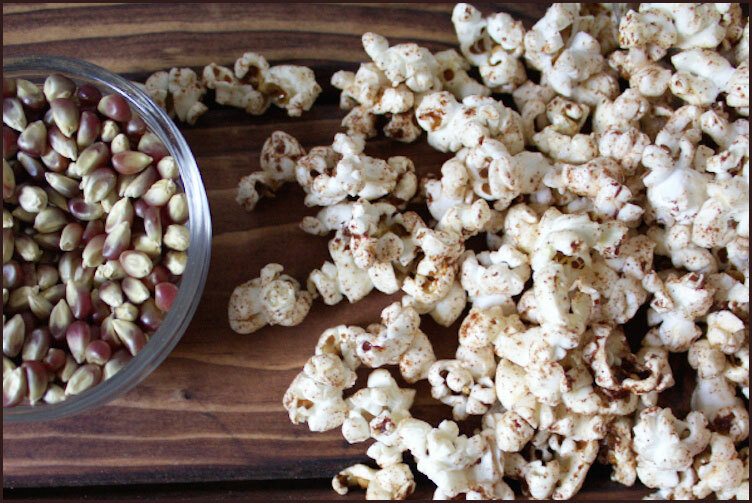 Make one of these 30 popcorn recipes and chow down while perusing The Popcorn Astronauts! Apple Pie Popcorn. Photo by Sweet as a Cookie. Ooh, and the very same Jama Rattigan has today’s Poetry Friday roundup at Jama’s Alphabet Soup! You’d like to receive my posts in your inbox, you say? Well, just sign up in the sidebar then! All poems © Deborah Ruddell. All illustrations © Joan Rankin. All rights reserved. Post content © Renée M. LaTulippe. All rights reserved. The 100th video! I am honored, Renee! (WILL I get a microwave?) Thank you SO much for inviting me to No Water River. It was lots of fun! And thanks for your glowing words in mentioning my interview with Deborah. She’s one of those writers who makes blogging so worthwhile. Congratulations on your 100th video! No Water River is the best!! I love interviews like this where I find myself hoping with each tidbit that the next one is just like me too! I don’t have a twin, but the tally was high! 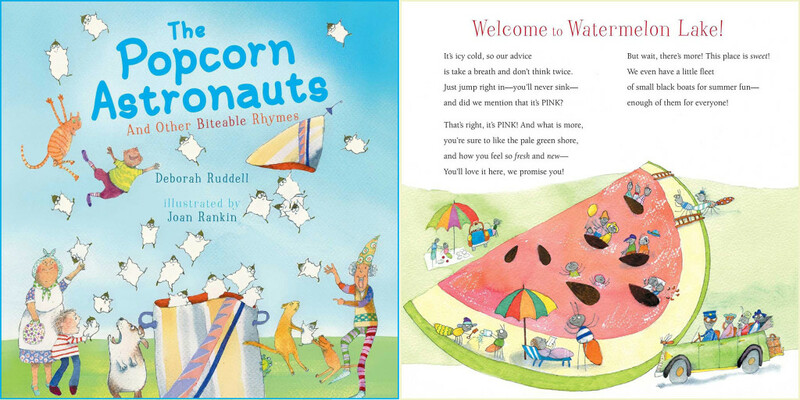 Love Deborah’s work, and I’m with you, Renee, on enjoying good author and illustrator match-making! What a milestone, indeed! Congrats! I was unfamiliar with Deborah’s work, but LOVE it – thanks so much for sharing! LOVE your fun interviews, Renée, and congrats on your 100th video! Who needs water, with so much poetry flowing in your river. What a fun poem. I love learning about poets I’m not familiar with. Thanks, Renee for sharing. Her poetry is wonderful, and I love that post by Jama of the Popcorn Astronauts. I like her story of the poem and its inspiration. I can picture her eyeball to eyeball with a red fox and managing to get more from the encounter than the fox in her very sweet way. CONGRATULATIONS. You have done so much to promote poetry. I’m happy to say Deborah has a poem in my forthcoming collection, JUMPING OFF LIBRARY SHELVES (Boyd Mills Press/Wordsong) due out this fall. I love her work. I love Deborah’s poetry books and can’t wait to read the popcorn one. Going to see the Beatles in a funky suit, Deborah you are too cool. I know I’ve said this before but I may have found my new favorite poet…and I mean it this time! The poems you featured of hers speak to me – the freakin’ raccoon (we are fighting the good fight with one right now; the haunting call of the loon, truly my favorite sound in bird-dom. And I have to love someone who also has a terrible sense of direction! I have never tried acting out my poetry while writing. Would have loved to have donned a suit and gone to the hear the Beatles! I had a great hat I could have worn. This interview was wonderful and I love the books! My grandson may need them. Happy 100th Video Day! What an amazing resource you are building here! Thank you! Marvelous interview Renee and Deborah! I am head-over-heals with your poetry, Deborah! Loved Bluebird Cafe, Loved Hint of Skunk. Popcorn Astronauts is on it’s way. Keep on doing what you do! What a fabulous post! I need to add Deborah’s books to my classroom library – my kids will love her, too. Fun interview, Renee! Such sweet and whimsical poems. I just requested all of Deborah’s books from our library. Thanks for introducing her work to me. I especially love the turkey poem, and as a bird lover can’t wait to read Bluebird Cafe! Yay! !00 videos! More please. Deborah’s poems never cease to stun. Sliver of cricket – perfectiont! She (and you) may be “slow and tortured” poets, but what you produce is pure delight! Thanks! Huge fan of Deborah’s book and loved the interview! Congrats on reaching 100! Super congrads! (I had to do that. You know, right?) 🙂 I can only imagine how thrilled you are to have that first 100 under your belt. What a wonderful milestone, Renee.Beautiful interview! I LOVE Deborah’s work. She’s brilliant. I have to have that book now. The turkey poem is so much fun. Woo-hooo! Perfect post to celebrate the 100th video. Congrats to you both. I, too, was delighted to read about Deborah over at Jama’s, and now so appreciate the video treat and the quirky Q & As which are never lacking here. Such a refreshing interview! I love getting this thing in my mail! Thanks for the wonderful interview, Renee and Deborah! So much goodness to savor here…I own (and love) A Whiff of Pine and have read Bluebird Cafe. Must go find The Popcorn Astronauts! Great poem and interview, Deborah! Congratulations, Renee, on your 100th video! I feel as if you both are so in synch – this is a lovely visit between two estimable poetry pals. Appreciations for the video, the links, the questions. I missed Jama’s interview so I’ll be nibbling on that one eventually. Especially sweet to see that Deborah’s book grab at your direction is is White (E.B). 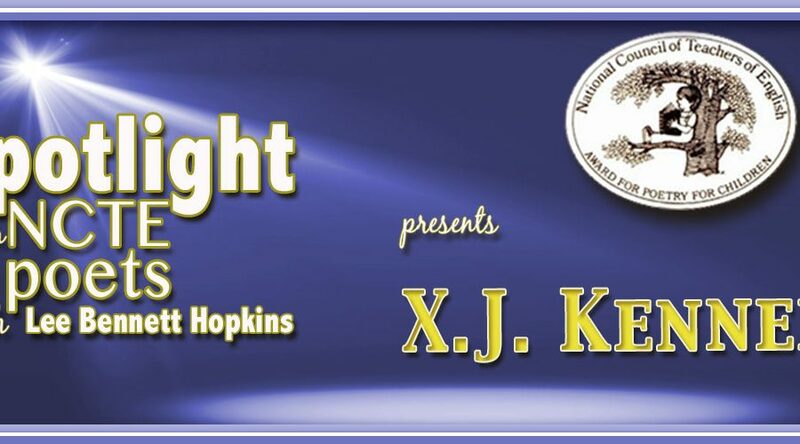 Your questions are out of the ordinary & entertaining. 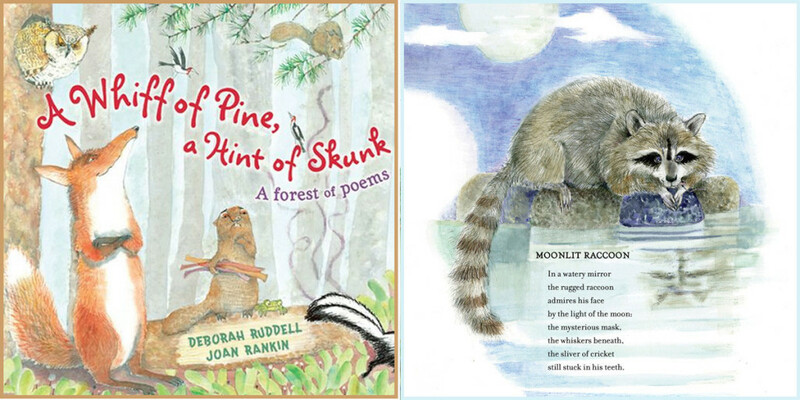 Will enjoy finding Deborah’s woodsy titles- going to sniff them out at the bookstore or library. Wonder what her next p.b. collection title/subject will be? Oh my, see that’s why I love children’s poetry blogs! I haven’t read enough Ruddell. I will remedy that haste post haste, even on the instant! Ordered the Popcorn book from the library. Wow, I lover her watermelon poem. 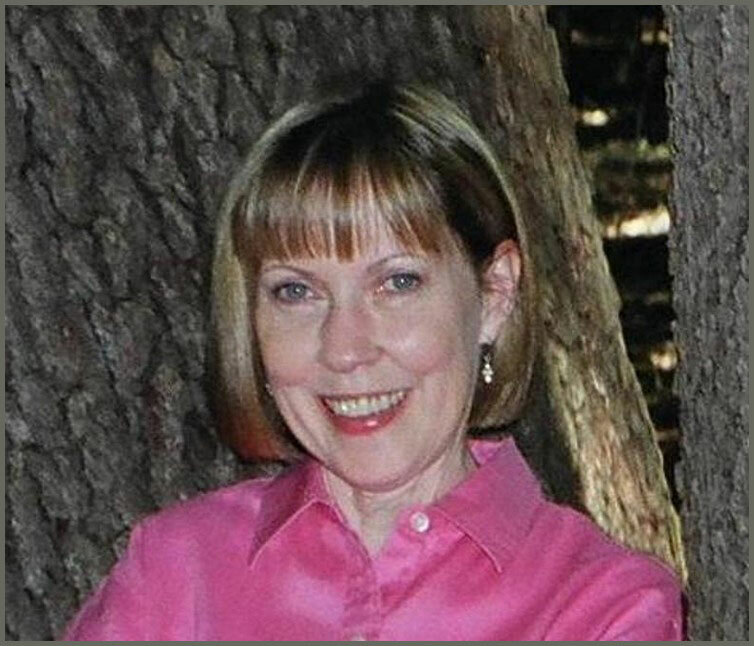 Deborah Ruddell is like the love child of Karla Kuskin and John Ciardi!